Get more out of your next trip and book a room at our Days Inn Williamsburg hotel. 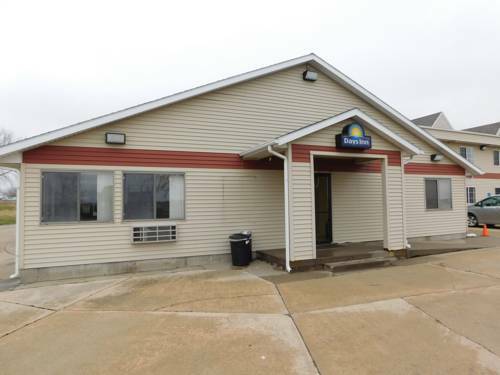 Conveniently located off Interstate 80, our Williamsburg, Iowa hotel is a great value; park your car, truck or RV in our free lot. In the morning, rise and shine with free Daybreak continental breakfast including hot waffles and omelets. Each room in our hotel features free Wi-Fi Internet access, microwaves, refrigerators, 32 inch flat panel televisions and non-smoking rooms are available. After a day of sightseeing and shopping, make a splash in our refreshing indoor pool. Kids 17 and under stay free with an adult. Dogs only are welcome with a nominal fee. LOCAL ATTRACTIONS There is something for everyone near our Williamsburg, Iowa hotel. If you want to go shopping, Tanger Outlet Mall is less than one quarter mile from our hotel. Visit the Amana Colonies and stroll through the quaint streets, check out the museums and galleries, play a round of golf at Amana Colonies Golf Club and absorb the unique cultural heritage of the area. Fish Iowa Lake, or take to the sparkling waters for a day of boating, swimming and water sports. Check out the incredible displays at The Barn Museum, featuring Henry Moores Mini Americana, a collection of handmade miniature Farmsteads.